On 8th June 2013, club historian Robert Reid held a talk, in the Woodside Library, on the history of Partick Thistle. He very kindly allowed the Jagscast to record this talk to allow it to be spread amongst Jags fans throughout the world. 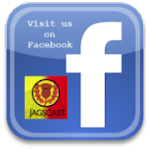 Listeners should note that the views expressed in this Jagscast are Robert Reid's personal views, and do not reflect those of Partick Thistle football club. The Jagscast would like to thank the Woodside Library for hosting the event and Mr Reid for allowing us to record it. After some major technical issues, who knew laptops didn't like Irn Bru?, we have the final two parts of the Conrad Balatoni special. On Wednesday 24th April, the Jagscast went to Edinburgh. ThistleStats and Raymond Stark met up with three members of the Edinburgh and East of Scotland Supporters Association. A special guest, Conrad Balatoni, also joined them and what followed was over 2 hours of intense recording, talking about everything football-wise. This is part 1 of the recordings. Our thanks go to Kenny Macgregor who arranged the venue, and EEOS involvement and also to Conrad Balatoni for being a good sport and generously giving us his time. Thanks to everyone who has listened this season! Donald "Marc Corcoran" Balatoni caught up with PTFC club captain Paul Paton earlier this week, to discuss his Firhill highlights, footballing heroes and favourite PTFC tops. On Sunday April 28, 120 Partick Thistle fans will get to live their dream by walking out onto the pitch to play in the Firhill Cup. The competition was set-up by Davy Mains and Charlie Kirkwood three years ago and it gives Thistle fans the chance to play at the stadium in which they have been watching their heroes all season. Although the tournament was set-up so the fans could play football. It is also a big earner for the club. In the past two seasons they have raised around £12,000 - which has gone directly to the manager’s playing budget – and this year they hope to raise close to £8,000. 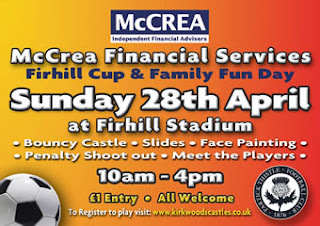 The event is set-up as a family-fun day, tickets are only £1 for Adults and it is free for kids. The players will hope to have a big crowd to cheer them on and this season have been putting in some extra effort to prepare for the tournament. Andy Young, a Community Coach at Partick Thistle, volunteered to give the players professional coaching sessions in the lead-up to the Firhill Cup. The players will have plenty of incentive to play well as amongst the crowd will be their Jags heroes who take part in a role reversal by watching the fans from the stands. Firhill will open at 10am on Sunday and the Cup is expected to finish at 4pm. Both the club and organisers have said that everyone is welcome to come along and it’s only £1. A fanzine/podcast by Thistle fans for Thistle fans.